Wow! Cliff, it is wonderful image…Stunning reflections and colouring. Bravo! A wonderful painting. This would go above anyone’s couch for that relaxing feel. Excellent job! Really beautiful capture of such a lovely place. Stunning! The colors, The light The reflection. Oh eddie, this photo is soooooooo viscerally serene. I wish I was sitting in a canoe here and never had to leave. I think this is one of the most lovely water shots I’ve ever seen. It’s because of the lighting. It makes the photo so “sweet”. 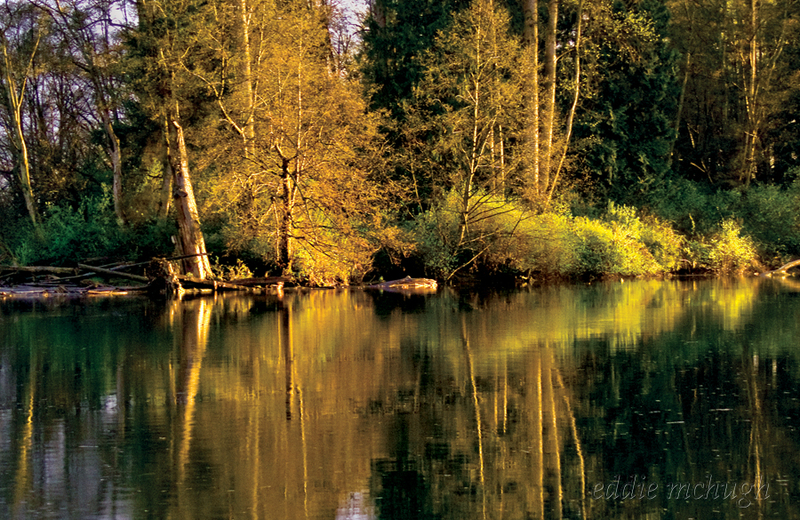 It’s the warm endearing colors of luminescent green and golden browns, the reflection that is equally as magical. This is photo that I wish I could live in. Especially lately with life so fast pace and too much work and not enough time off. Thank you dear eddie for letting me see such beauty. Beautiful landscape. I like mirroring.